To me, the answer to that question seems easy. Of course they can. But when I brought up the subject recently, I realized the answer wasn’t nearly so clear-cut for many people … and that a few objected vehemently to the very suggestion that these two philosophies were compatible. Certainly, not all Pagans are godless, just as not all Pagans are Wiccans. The majority are, in fact, theists – and the majority of those are polytheists, believers in many gods. But there are some Pagan pantheists out there, too, along with some monotheists, some agnostics and yes, even some atheists. In fact, a survey I conducted online last summer found that the vast majority of respondents identified the most important element in Paganism as “reverence for nature.” Given three possible responses, a whopping 87 percent chose this answer. In second place, with just 10 percent of the vote, was “worship of the gods.” (The third option, “practice of magic(k),” received a paltry 3 percent. When asked whether worship of the gods was a fundamental component of Paganism, a majority – 53 percent – said it wasn’t. While the size of the sample for these questions was significant at more than 600 people, the sampling was not scientific. Nevertheless, it shows clearly that a significant number of people don’t think polytheism is essential to Paganism and – even among those who do – most don’t think it’s the defining element. Reverence for nature fills that role. Few people showed greater reverence for nature than the late Carl Sagan, an agnostic who made a career of exploring – and marveling at – the wonders of the universe. In fact, he was so astounded by the beauty and complexity of the universe itself, that he saw no need to go seeking gods or goddesses to explain it. His philosophy was that no concept of a creator or overseer could possibly match the awe-inspiring grandeur of nature itself. This is the way the Pagan atheist views the world, and the universe at large. It’s not some dry, clinical and bitter philosophy. It’s a vibrant, dynamic view of life and the environment that births and sustains it. In fact, many Pagans view the universe as a sort of living organism – either metaphorically or in actual terms. The parallels are, indeed, fascinating. And, in fact, many Pagans believe that the distinction between natural and supernatural is a false one – that nature is the totality of all there is, and that it’s meaningless to speak of anything being somehow outside of nature. How could we even conceive of such a something in any case? We’d have absolutely no frame of reference for either conceptualizing or experiencing it. All of which raises the question of gods and goddesses. What, exactly, are they? Are they supernatural entities – beings outside or somehow above nature? This is certainly the Christian worldview – a view that places its deity outside of nature and, in doing so, casts nature itself in a subordinate role. Nature is but a creation, a tool at the disposal of a superior being who created it either for “his” own enjoyment or for the purpose of allowing other creations (humanity) to exploit it. I know of very few Pagans who approve of exploiting nature for the sake of human greed and narcissism. Most, in my experience, view humans as part of nature, not separate from it – part of an intricate web of life, not somehow above or beyond it. Gods and goddesses, likewise, are most often viewed as part of the fabric of nature, rather than somehow disconnected from it. On the contrary, they are connected in the most intimate fashion possible. Poseidon is the sea personified. Deities such as Osiris, Aphrodite and Freya exemplify the very principle of fertility. Zeus’ lightning and Thor’s thunder are in the storm. The ancients didn’t fully comprehend how the forces of nature worked, so they viewed it in terms they did understand – anthropomorphic terms. They put a human face on nature, attributing violent storms to an angry god’s tantrum or fertile fields to the benevolence of a goddess. One difficulty many atheists have with these conceptions is practical. If we believe that we are at the mercy of a deity’s emotions, it’s only human nature that we’re going to try like hell to influence those emotions. We’re going to try to put that deity in a good mood. This is how the concept of sacrifice developed, as an attempt to placate (or bribe) a deity by offering him/her something we ourselves might enjoy – often in the form of food. There were a couple of problems with this assumption. First off, it was arrogant to think the forces behind the elements needed anything from us, and it was presumptuous to assume that – if they did – they’d enjoy the same sorts of things we did. Second, instead of placating the forces of nature, the assumption led us to actually destroy elements of nature itself. We sacrificed things that were never ours to sacrifice. We killed animals and burned them on altars. We even went so far as to kill humans. And if our sacrifices weren’t “accepted” (the rains didn’t come or the land remained barren), we blamed the priests who conducted the sacrifices and killed them, too. While we don’t conduct human sacrifices today, we still ostracize people who don’t believe the way we do on the grounds that they’re an offensive to our patron deity or deities. The Christian concept of hell falls into this category, as does the shunning of family members still practiced in some faiths. Indeed, Christian dogma is built on a foundation of the need for sacrifice – both homicidal and deicidal, but it’s hardly alone. Those who practice a variety of other faiths still sacrifice animals in the hope of propitiating or manipulating the gods. These are the kinds of practices that the Pagan atheist finds saddening, because they do unnecessary damage to nature itself – something humanity has done far too often. Indeed, the Judeo-Christian tradition, whose god was originally a storm deity in a polytheistic tradition, often justifies brutalizing nature on the grounds that this god gave human beings the right to do so. It seems contradictory (perhaps even sadomasochistic) that a god of nature should have given humans the right to destroy his creation for their benefit. Or his. Or both. I wrote the book “Requiem for a Phantom God” to expose just such contradictions in the dominant form of monotheism practiced today in the West. Although I think polytheism has an ethical advantage on Abrahamic monotheism – as I explain in that work – I’d be less than fair or honest if I didn’t acknowledge similar contradictions where I see them within Paganism, as well. It is precisely because of a love for nature that a person can identify as a Pagan and an atheist with absolutely no contradiction whatsoever. The Pagan atheist views nature itself as the magnificent framework of which we all are a part – and has no need to put a human face on it. To do so is to look at it through a clouded lens, rather than taking it at its own marvelous face value. Perhaps the biggest misconception is that Pagan atheists are just a bunch of bah-humbug types who revel in their own bitterness and adhere to a boring and rigid existence devoid of beauty and reverence. There is, of course, plenty of bitterness and negativity out there – but these attitudes can be found in people of all paths. No faith has a monopoly. In fact, Pagan atheists celebrate nature. Though we don’t believe in anthropomorphic deities who stand as guardians to the forces of nature, we revere those forces on their own terms and, when others speak of Isis or Demeter, we respect their right to do so. We may even use such divine names ourselves, not in reference to unseen personalities, but as symbol and metaphor – a rich form of human expression – to characterize nature itself. We don’t begrudge others the use of terms like “the goddess” or “the lord and the lady.” On the contrary, we see them as a poetic homage to the wonders nature and an acknowledgement of the masculine and feminine principles that are so prevalent across our natural world. We see no contradiction between such poetic reverence and the scientific assurance that thunderstorms aren’t the product of a storm god’s wrath, but rather the something that occurs when warm, moist air rises rapidly in the atmosphere. When it comes right down to it, arguing that atheists don’t belong in the Pagan world is like arguing that Protestants aren’t real Christians or that Sufis aren’t true Muslims. It’s the opposite side of the coin that argues “all Pagans are Wiccan.” No, they’re not. You don’t have to be Wiccan to be Pagan, but neither do you have to be a theist. It’s not a prerequisite. There’s room enough in this vibrant community for a wide array of different expressive forms, including Pagan atheism. Stifyn Emrys is an author of five books, including “Requiem for a Phantom God,” a critique of Abrahamic monotheism. His first novel, “Identity Break,” is due out in February 2013. He lives in California with his wife, Samaire Provost, author of the “Mad World” YA series. His books are available on Amazon (www.amazon.com/-/e/B008LHKFM2) and Nook (www.barnesandnoble.com/s/stifyn-emrys?dref=2207). Follow him on Facebook at www.facebook.com/semrys. B.T. : I understand where you’re coming from. However, your dislike for the term reminds me of the reasons we hear some people rejecting the Pagan label. To me, there’s a paramount political value in finding common cause with a) other atheists and b) other Pagans. There are plenty of atheists with more nuanced attitudes toward religion. Obviously I share some of your ambivalence, having written about the impossibility of atheism myself. The challenge, and it’s a big one, is for us to be stronger than the labels. Personally, I prefer “non-theist”. It’s like atheist without the baggage. Plus, according to at least some definitions of theism, I can be a non-theist and still be a pantheist. >you have a specific vision of the gods…. do you believe in spirits ? Valiel, certainly some reject gods but believe in spirits. If talking about Naturalistic Pagans though (which are close to but not necessarily the same as the “Atheist Pagans” this article discusses), probably a symbolic interpretation of some kind is applied to both equally. I’ve been a pagan for many years, and leaning more and more towards atheism. I never quite felt right (for me) to worship the Lady and Lord as actual beings. The gods were more like representations for me. I wondered how I could believe in both. I loved nature, but didn’t believe in God, wasn’t that enough? I found beauty and wonder in nature and believed that this amazing world had a feminine side that had been too long ignored. So I called myself an Atheist Pagan, or Pagan Atheist, and thought it was descriptive although a little strange. So how wonderful that I find this page and see that I’m not the only one who feels this way. Thank you! Love your wife’s facebook page and looking forward to reading your blog. Green blessings. Brilliant post! I’m an atheist trying to become a Druid, and finding it quite difficult to justify to both sides. Great to know there are others out there! Very interesting exploration. I agree that the different ways that cultures define “nature” is so central to all these issues. The traditional Christian position of “nature” as excluding both god and humans seems contrived, artificial, in comparison with other belief systems. If “nature” is defined as all-inclusive, the distinction between theist and non-theist seems less extreme and less…well, less important. 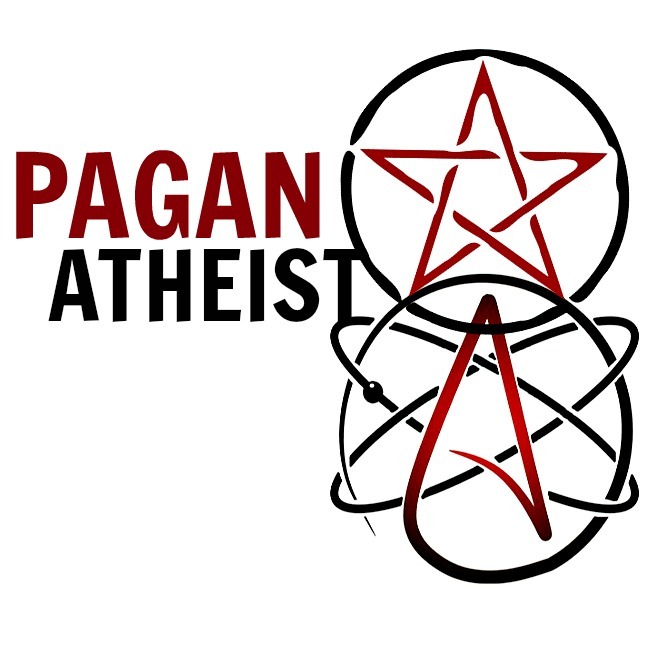 Interesting point of view, however I disagree with your assessment that Pagans and atheist are connected or that their can be a Pagan atheist. As a Pagan, my views of the world surround the marvel of nature and its creator. The creator of life is reflected in all forms of Mother Nature, therefore there cannot be an Atheist Pagan. For me, the personification of deities are not so literal for me. I know that there is not a man with antlers walking around, however I celebrate what he represents in nature such as the changing of the seasons. There are many many deities that represent different ideas in nature. Every Pagan chooses which they celebrate and follow a different path. However in doing just this they are celebrating the creation of our world and it’s wonder. Most Pagans believe that the creator embodies all forms of nature and so the celebration of one aspect is a way in which I can honor a creator. 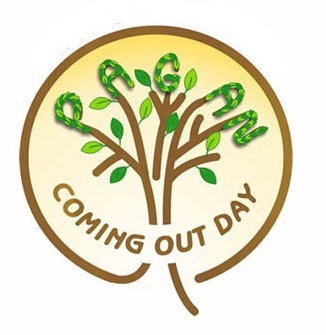 I don’t consider myself a polytheist, because I celebrate one creator and the representation of this creator in a deity(symbol with a specific purpose found in the natural world). The example you used is Demeter, the goddess of harvest and the fertility of the earth. Demeter represents all the creator gives and celebrates the season of the harvest and fertile grounds. There are many Pagan views, this is mine and this is why I don’t think there can be a Pagan atheist. Bridget, it sounds like you might mean you take a naturalistic view of deity. Most of us here do something similar, if you mean to say that deities are symbols for natural processes without personality or intention. Saying “atheist” tends to suggest no god concept whatsoever, whereas what “Pagan atheist” tends to mean is more like no theistic or “supernatural” god concept. 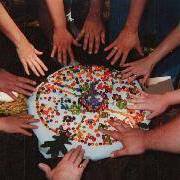 An interesting outlook on Non-Wiccan Paganism…. I believe I agree that Pagan Athiests do exist and are probably very common. I think you’re mix-mashing terms. You’re taking very broad definitions and linking them as if they describe something precise. I define an atheist as someone that doesn’t believe in any form of disembodied intelligence. I define any religion as the related beliefs of those who do believe in disembodied intelligence. I define agnostic as those who don’t know or won’t choose between. So any religion, regardless of it’s specifics and by my definition, is mutually exclusive with atheism. We agnostics can wander around and wonder around between the two. I rejected religion for the same reasons I rejected Aristotle’s explanation for why things float. It is really the surmising of someone too ignorant to know but still had to deal the related practical matters. Science and religion used to be intimately intertwined and a recently as 200 years ago if you questioned how God could exist with science, the clergy and scientists would look at as if you just asked how a foot and a shoe could exist together. Science versus religion is a very recent split. Atheism has grown due do that split. What I read out of your article is that specific symbols, rituals, and mythological characters make for a significant difference. I don’t accept that. Whether a person believes in the words of Jesus Christ or Mohammed is just superficial excuses, a minimal paradigm, for exploiting others without conscience. The section of the Holy Bible that says God gave man dominion over the Earth and all it’s living creatures was justification for genocide of the Native Americans, industrial pollution, and reckless use of resources. Islam is being quoted today to subjugate women into being property and slaves. Whether the disembodied intelligence that is claimed as the unquestionable authority to justify evil desires is a wizened, elder caucasian man with a long white beard, a man with long robes wearing a turban, or a group of lesser beings working cooperatively or at odds with each other, strikes me as no more than being concerned over the flavor of one’s ice cream choice. Granted there are more devastating results from religion than ice cream. Having written that, I do appreciate the good qualities that religions try to maintain in our society: a cooperative group of like-minded people for mutual support, reinforcing concepts of fairness, justice, good ethics, and so forth, even if it be limited to only those worshiping the same religion. I do see a spiritual need that is, however imperfectly, fulfilled by religion. My limited experience has lead me to recognize two distinctly different types of atheists. One, I tend to call a true atheist, is a person that simply sees no reason to believe in any kind of disembodied intelligence and though frustrated and even angry at times, views those devoutly religious with a bit of perplexity rather than out right hostility. What I call a reactionary atheist is someone raised within a religion and was a true believer but got short changed by the reality and is now at least unconsciously still believing in their religion but is acting out in anger at those beliefs in revenge for the short changing. I think it’s important to distinguish between the two as one is actually still being religious in a negative way and the other is not religious at all. So, the only way a person can adhere to a religion while not believing in the religion is to consider the particular symbols, rituals and characters to be somewhat arbitrary and ultimately meaningless in and of themselves but handy short cuts for generating certain elevating or comforting emotional states even if they be a delusion. Kind of like smoking marijuana or chugging a bottle of booze. Respectfully, Phillip, I think you may underestimate the aspects of religion unrelated to “disembodied intelligence(s)”, especially those in religions that are not creedal and which place more emphasis on practice than in belief in said intelligences. I’d invite you to have a poke through many of the other articles on this site to get a feel for the deep and meaningful aspects people still get out Pagan religion while completely rejecting any notion of disembodied intelligences. This is another interesting article I stumbled across, as this one really describes how I always felt about atheism and paganism. I prefer now to not label myself as anything because it can be confusing to most. I care about nature but only see gods and goddesses as archetypes. I believe the Goddess lies within me because she is me, vice versa if I were male. I am so happy I found this article. Over the past few years, I’ve been struggling to find and define my spirituality for myself. In high school, I found myself attracted to Paganism, but trying to connect with the gods felt awkward and forced to me. Having a Christian background and leaving that faith made me realize that the idea of divinity, any divinity, didn’t quite fit with what I actually believed. I will be looking around your blog more. I feel like I am finally starting to gain insight into what I need. I really do love the reverence for nature found in Paganism, and I find the stories of the gods fascinating, and I do connect with those stories on some level, although not the way most Pagans might. I am interested in reading your book Requiem for a Phantom God, but the link to the Kindle edition appears to have an error. I can’t seem to access the ebook version. Is there something wrong or am I doing something incorrectly?